Sony Computer Entertainment | Squackle.com! The Funniest Site on the Net! While at E3 this year, I was able to try out Sony’s Singstar for the PS2. At first I was a little hesitant to pick up the surprisingly well-made microphone, and just stood by watching other people sing. But when nobody was playing anymore, I decided to give it a try. While I played, one of the representatives from Sony that was demonstrating the game played with me the whole time. SingStar has been a very popular game in Europe, so its surprising that it took so long for the game to come over – it was instantly apparent to me why it’s so popular as soon as I started playing. The most impressive thing about the game is the user interface. It’s very clean and very intuitive, and I actually like shuffling through album covers while looking for songs to sing. There is a very generous mix of rock and pop music, and it was interesting to see Nirvana, The Darkness, and Franz Ferdinand (to name a few) in the song list. Just as Guitar Hero helps you better appreciate what a guitarist can do, SingStar will make you appreciate how well someone can sing or perform certain lyrics. The “do do do” and “lucky lucky” interludes Franz Ferdinand’s “Do You Want To” come to mind as being very tricky to get the words right. The high notes in “I Believe In a Thing Called Love” by the Darkness also come to mind as being incredibly challenging. The game shows you the music video while you sing. This gives players something to watch during solos and other non-singing parts, so you’re not completely bored. When you are supposed to sing, the lyrics show up at the bottom of the screen with the word you’re singing highlighted. Depending on how close you are to getting the correct note/pitch, you get points. Playing alone probably won’t be as fun as it would be playing with someone else, just because it’s fun being able to compete and see who sings better. Lines show up on the screen corresponding to how the actual song is sung. As you sing into the microphone, another line will appear, graphically depicting if you are higher or lower than the note you should be at. The closer you are to the song’s own line, the more points you get. If you hit notes correctly at certain points of a song’s line that are sparkling, you’ll get a “Golden Note” which counts for bonus points. It’s a very simple game – one that can teach you how to sing your favorite songs. I had fun playing SingStar on PS2. A version is coming to the PS3 that will allow players to download songs, but the multiple PS2 versions will be pre-chosen packages. Even though the PS3 version was on the floor, I wasn’t able to try that one out because there were a lot more people packed into the PS3 section cracking jokes about “600 dollars” than I would have cared to show off my singing abilities to. 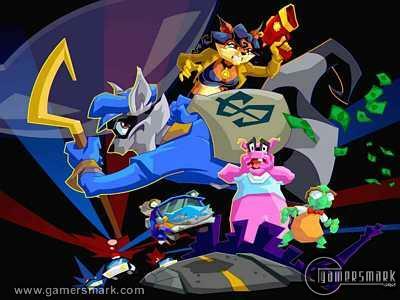 Sly 2: Band of Thieves is the follow-up to Sly Cooper and the Thievius Raccoonus. A major overhaul was made between the two games, and while the basic gameplay has transitioned over from the first game, Sly 2: Band of Thieves is an improvement over its predecessor in nearly every way. What had also made the first so great in terms of atmosphere and overall feel was carried over in almost every way, capturing the unique feeling that is to be expected for a sequel. The story in Sly 2 follows up two years after Sly had defeated Clockwerk the Owl. 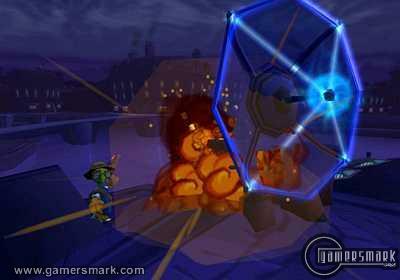 After Sly Cooper was able to defeat Clockwerk (he was made of metal parts), his mechanical pieces were stored in a warehouse. That is until the Klaww Gang stole the Clockwerk parts to use for their criminal plans. Because Clockwerk was a super-evil owl that was bent on destroying the Cooper clan, Sly Cooper made it his mission to steal back all the Clockwerk parts as to avoid any kind of reincarnation of his nemesis. 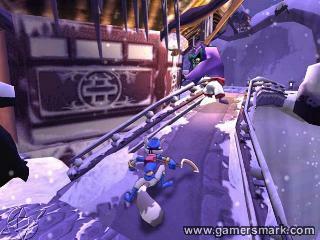 The major gameplay change in transition to Sly 2: Band of Thieves comes in the basic level design; it is all free-roaming and mission-based. The sectioned-off areas from the first game are gone, as all the missions you’ll play are in a large “city” that is unique to the episode you play in. The game itself is segmented into episodes, like the first, and the overall story is presented in a way as if it were a cartoon. Another important change comes in the perfection of the controls — the ailments of gameplay that were present in the first (mostly in association with the special moves) have basically disappeared. Instead of cycling through special abilities to use by pressing the triangle button, you assign the moves to the shoulder and trigger buttons, allowing for better control. Not only that, the L3 and R3 are also utilized – it immensely streamlines the control interface by putting functions you don’t use often to less accessible buttons. The refinement of the control scheme from the original to the sequel is definitely a welcomed change. A new default ability added to the game is crawling under items (like tables and cars), which aids in your sneaking around. Health is also a major change to the game. As opposed to the one-hit defeat that was prevalent in the first Sly game, you’ll be able to take as many hits as it takes for your health to fully deplete. What this also means is that your enemies will also take more than one hit to be defeated. There is also the complete eradication of any sort of life-gaining system, since there is no concept of “lives.” You’ll just be able to retry over and over again, which definitely does decrease the difficulty of the game. Since coins used to be only used to gain lives, they have taken on an actual purpose for being money in the first place – being able to buy things with them. What you can buy, exactly, are more moves (known as gadgets) to use during the game. Making money becomes an important factor as you’re able to loot guards and actually have an incentive to collect more money. Sly 2: Band of Thieves doesn’t stop there in its gameplay changes, however. Though the game is named after the main character Sly Cooper, you’re able to take control of Sly’s friends, Bentley and Murray. 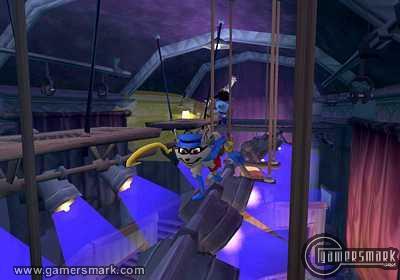 While most of the game you’ll play with Sly Cooper, Bentley and Murray take active roles in missions made specifically for them. They’re not as “useful” per se as Sly is, but Bentley and Murray have their own fleshed-out set of moves that really signifies them from each other. There are also some missions where all three characters will be out to complete the objective (such as two defending the other while he does something), and it mixes up the variety of missions and how they’re completed. Other pieces of variety added into the game include mini-games which are very similar to retro genres (such as the shooter) and are worked into the game. While the free-roaming level designs in Sly 2 are very intuitive, some of the advantages to having linear levels are lost. In the first Sly game, the levels were full of action, forcing you to think fast and use timing to get through the levels, but while these elements are still present in Sly 2, they just don’t seem as diverse. But saying that there are absolutely no linear-style stages in Sly 2 would be a farce; there are some worked in to diversify the gameplay. The way the missions are laid out in the game is in a nice format. Typically, you’ll be completing a bunch of missions as you set up the “big heist” that is at the end of the episode you are on. It actually makes you feel like you’re part of the planning process and by completing the big heist at the end of each episode you see what all your previous work came down to, giving a great sense of accomplishment. Sly 2 also improves in the amount of things to collect. If you remember from the first one, you had to collect 30 bottles for almost every stage – that made about 120+ bottles to collect, in effect making the game a collectathon — but no more! You only have to collect thirty per stage, and it’s completely optional to do, as the clue bottles will help you open safes for special moves you can get through the game fine without. Only if you wanted to complete 100% of the game is it really necessary to collect the bottles. The graphics are pretty much the same as were used in the first except with a definite polish. Since the whole game is cel-shaded, it really makes everything look good, especially if you like cel-shading. The cel-shading accompanies the animation scenes to create the feeling that you’re playing a cartoon. Most of the sound was also carried over from the first game, except of course the voice acting. 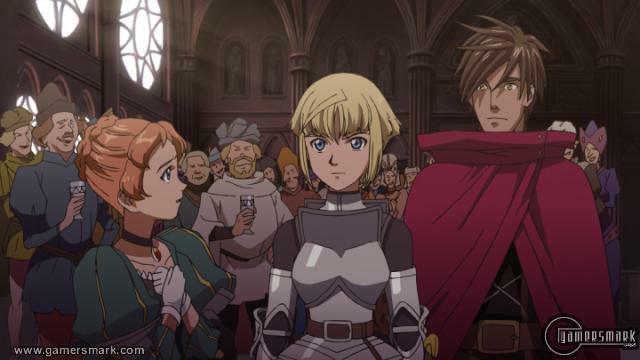 Voice acting also received a definite sort of “polish” from the first as well in terms of audio quality, and the actual actors’ acting abilities. The biggest changes that were noticeable to me were Carmelita Fox’s voice and Sly Cooper’s voice. Carmelita Fox’s voice was a big change because, well, she lost her almost stereotypical Latina accent that was used in the first game. Sly Cooper’s voice actor must have had voice acting lessons during the development of the second game because his voice is definitely a lot better than what had been presented in the first. There really isn’t anything bad about Sly 2: Band of Thieves. It’s a game that you can definitely get your money’s worth out of, especially because you can find it at a budget price now. And while the story isn’t exactly a masterpiece, it definitely keeps you going. Sly 2: Band of Thieves is one of the greatest platforming games to be released, and it really encompasses the evolution of the genre itself. Sly Cooper and the Thievius Raccoonus is one of those games that remind me why platformers are so great. The game is relatively simple, and while not perfect, it is definitely an enthralling experience that doesn’t take too much of your time. Since 2002, two more sequels to the original have come out, with Sly 3: Honor Among Thieves just being released last month. The first thing that strikes you about the game is its completely animated style and presentation. You’ll feel like you’re playing through a cartoon movie spliced into “episodes” featuring a variety of beautiful landscapes and some very cinematic elements during Sly Cooper and the Thievius Raccoonus is one of those games that remind me why platformers are so great. gameplay. As a fan of the classic Looney Tunes cartoons, I enjoyed this style of presentation greatly, as the influence really shows at times. But don’t let the game’s cel-shaded appearance dupe you; there is a spectacular platforming engine that drives Sly Cooper and the Thievius Raccoonus. What could be called more of an “introduction” to the character of Sly Cooper and how he learns his amazing thievery skills is a very involving game on its own. The five different episodes of the game create the feeling, as mentioned before, that you’re playing through a cartoon series/movie hybrid of sorts. Each of the five different episodes will take you through its own unique areas with its different challenges, as should be expected in a game like this. As you acquire more skills through the levels, you’ll increasingly be expected to know how to use the skills masterfully and in conjunction with each other. When you get to the later levels of the game, you’ll have to get your timing perfect and know exactly what you’re about to do to complete the task. There being only one mode, story mode, you’re plunged right in the middle of a robbery, introducing you to the main characters and the basic mechanics of gameplay. 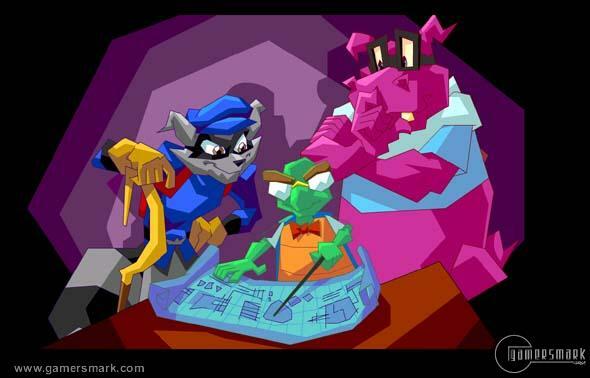 Sly Cooper’s cohorts Murray the hippo (the driver) and Bentley the turtle (the brain) back up Sly when he needs help. Carmelita Fox, the hot Latino fox character, will appear from time to time and chase Sly and attempt to capture him. All the characters, including the bosses, are well voice-acted for, though Sly Cooper’s voice could have been a little bit more unique when it comes to personality in regular speech. With all the platforming fun you’ll be having, it’ll be easy to overlook it. Gameplay is very much a strong point of the game. I’d call it pretty much a perfect platformer if it weren’t for a couple of things. The first and foremost is the way in which special abilities are used. Instead of having one of the R or L buttons assigned to a special ability, the triangle button becomes the designator of the special ability button. This wouldn’t be so much of a problem if it wasn’t for the fact that there are a couple of abilities that require you to hold the triangle button to use, and to take advantage of it also press another one of the face buttons. Of course, you can use two fingers instead of your thumb to remedy the problem, but it doesn’t feel as natural and rightly so. It seemed like the trigger buttons were wasted, with the L1 and R1 bringing up your “Binoc-u-cam” (which are binoculars) and the L2 and R2 are used to shuffle through the abilities. With a little bit of better planning, the buttons could have been utilized in a better and more natural way, or the abilities becoming user-assigned. The other smaller problem is the camera. Sometimes you aren’t able to move the camera in a way that will really help you out, making you resort to your Binoc-u-cam to look for something (which allows for free look). 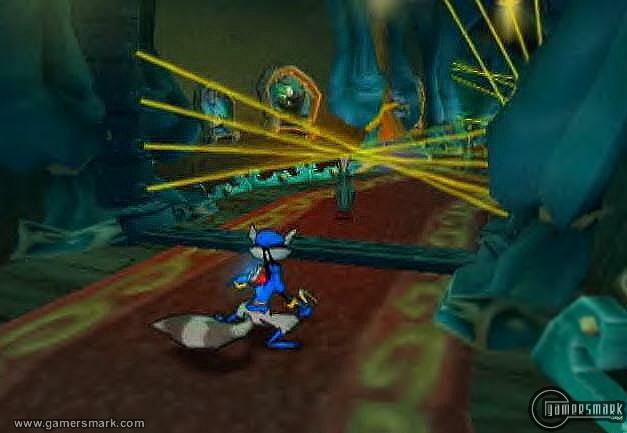 More than a couple of times the camera actually got caught behind a wall or something and couldn’t follow Sly Cooper around anymore. Sly Cooper is also a collectathon. You’ll be collecting as many coins as you can, smashing things open and going out of your way to obtain “clues” that lead to gaining new abilities. Sometimes it’s easy to miss the vital “clues” because they could be hidden. Even though there is something you can obtain for each world (which are Blueprints of the area you’re in) which unveil the location of coins and clues when looking through your Binoc-u-cam, it could be a pain when you’re looking for the clues that you need to get the Blueprints, which makes it sort of a Catch 22. Saving and loading throughout the game are so well masked that you practically don’t know it’s going on. After each level or new ability gained, the game will save but won’t stop the game asking for your permission to do it. You’ll go right on not even being asked to do anything and it happens in the background. This is the first game that I’ve seen that doesn’t have a dialog screen up when saving. Loading is also seamless and is barely noticeable as you move between areas. There aren’t even any loading screens to speak of. The loading and saving aspects of the game should be praised and become more widely used if possible. As said before, the voice acting is quite good. On top of that, the regular sound effects are excellent and satisfying. 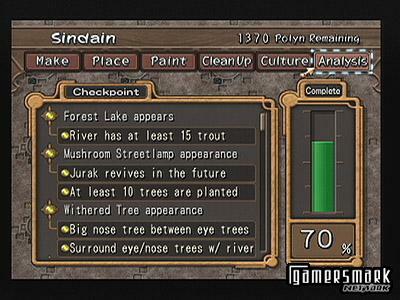 The graphics and presentation style also push the title to near visual perfection, as most cel-shaded games are. The graphics really couldn’t be made much better for the Playstation 2’s hardware. The movies and “briefing” scenes are also all animated, never taking you out of the experience of feeling like being in a cartoon. While almost obviously appealing to the younger crowd, Sly Cooper and the Thievius Raccoonus is definitely something a gamer of any age can enjoy. Since it is a pretty aged title, you can probably pick it up for a few dollars used or get it new at the Greatest Hits price or even lower. If you’re in for a relatively short, fun game, Sly Cooper 1 would be a wise decision. 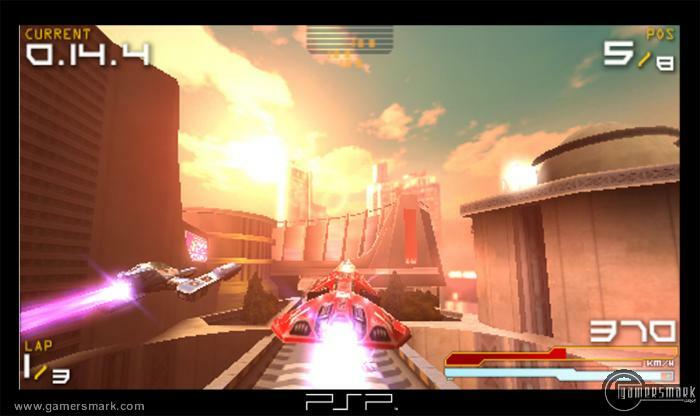 As one of Sony’s PlayStation Portable launch games, Wipeout Pure is an all-new made-just-for-the-PSP Wipeout game. With controls adjusted to compensate for the difference in the PSP to a traditional console controller, the transition appears to be a very well conducted one. Coming from a background of not playing too many of the futuristic racing games like the notable F-Zero series or even any other of the Wipeout games, I found myself amazed by how fun Wipeout Pure is. In all of its impressive beauty, Wipeout Pure is one of the most fun and addicting games I have played for quite some time, especially for a handheld. 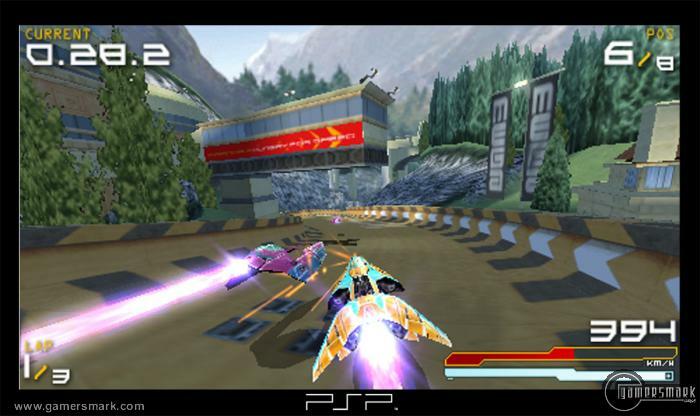 Wipeout Pure is one of the sustaining reasons to own a PSP. Not only does it really show what the PSP is capable of in terms of graphics, but also shows how well the PSP does with franchises carried over from the console market, obviously allowing you to take games in your favorite series’ wherever you go. 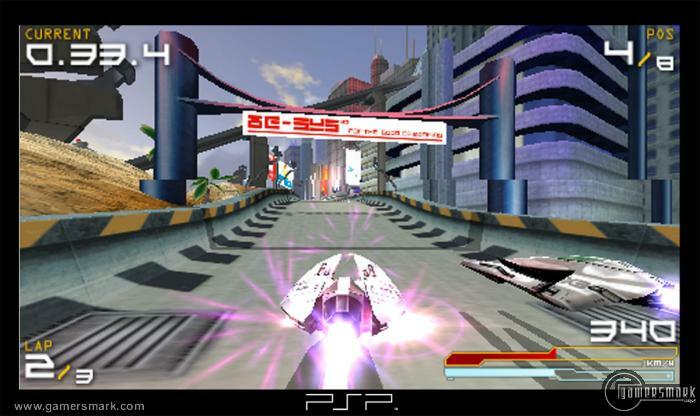 And because it’s not a direct port of any other Wipeout game, unique ships and weapons have been created for the PSP version, giving it a different feel than other games than the previous games in the franchise. With eight different teams (more simply, ships) to choose from, each ship has its advantages and disadvantages. Depending on the situations you face and how well you can maneuver your hover ships through race tracks, certain stats in ship performance will become a major factor in choosing which team you go with. Wipeout Pure’s first impressions are that it’s a beautiful game, and can even compete with the graphics of games being released on the PS2. A pleasant part of the graphics and presentation Wipeout Pure emits is the attention to detail. Even while going upwards of 400 km/h on your hover ship, you can take some time and pay attention to the scenery around you as you blast by it. The frame rate stays at a good level for the most part, but if there are a lot of explosions and things happening at the same time on the screen (which can happen at times), the frame rate can go down a bit, but its nothing that really shouldn’t be expected for that kind of action happening. Of course, what enhances the graphics and the look of the game even further is the PSP’s beautiful LCD screen. When starting the game for the first time, there isn’t a story sequence or back-story to read; you dive right into the game. While it’s not at all important, there is a small piece of background story given in the instruction booklet, mostly to explain where Wipeout Pure fits in with the rest of the Wipeout games. Most of your time will be spent in the single player mode, which gives you five different modes to play: Single Race, Time Trial, Free Play, Zone and Tournament. Single Race is a regular race in which you race against other racers for one race only. Time Trial allows for you to race the track and get the best time you can without any other racers in the way. Free Play is similar to Time Trial, but instead of having an amount of tracks to race through, you just keep going on the same track for as long as you want. Free Play will allow anyone to brush up on their skills and memorize each of the tracks included in the game to better compete against other racers. Zone is a somewhat out-of-place mode, in which you go as fast as you can in curiously bright white tracks in a unique hover ship. Zone is a different approach to racing, and can be most analogized to a Survival mode in a fighting game, basically going as long as you can and getting points along the way. More tracks in the Zone mode are unlocked when you achieve enough points in your trials. Tournament is obviously the biggest part of the game, allowing you to pit yourself against the seven other teams and their racers in an assortment of leagues. Beginner-level leagues allow for you to get used to the controls and the speed of the game. The real challenge doesn’t start until the more advanced levels, where you go faster and more laps are added to the requirement of completing the particular race. During the beginning leagues, each race seemed to be too short, but this is solved (and you even get a feeling that races can be TOO long, mostly because of the challenge of the other racers) as you get to the increasingly harder leagues. The game covers all the aspects of difficulty throughout playing the game, and it is really a good way to do it. Rather than having an overall difficulty, you can keep racing in the league that you most prefer for speed and lap amount, but that won’t allow you to unlock more things in the game. After getting so used to the faster leagues, it can be hard to race in the lesser advanced leagues because it is so slow in comparison. With each increasing level of difficulty, you have to adjust to the new conditions of speed and the amount of laps. Typically, it will take a few times to defeat a class tournament, just because of the different feeling of speed and reaction time that the game demands in the more advanced leagues. As you race through more and more of the leagues, more tracks and other leagues are unlocked for you to race in, giving an incentive to place in the top three by the end of a particular tournament so you can repeat the same process on a harder level. When actually racing in a game, a big part of how you try and place is how many Jump Pads you can drive over as well as how you use the weapons that are given when running over Weapon Pads. Jump Pads are vital to winning a race, as they can increase your speed with a burst of energy and propel you forward, helping you inch (or centimeter if you want me to stay consistent) forward closer to your opponents. Weapon Pads also help a tremendous amount, because if you use your weapon with precision you can gain the upper hand over your opponents and slow them down. However, as the amount of speed increases in each of the leagues, hitting a wall or getting clobbered by one of your opponent’s weaponry can take a healthy chunk out of your ship’s health. Instead of using weapons only as a weapon, you can absorb them to charge up your ship’s shields, and avoid being disqualified by blowing up. This brings the possibility of having to make a quick decision about what you should use your weapon for most likely; whether or not it’s more worth it to possibly get in front of your opponent or to use the weapon to charge up your shields. The actual arsenal of weapons includes Auto Pilot, Shield, Turbo, Mines, Bomb, Rockets, Missile, Disruption Bolt, Plasma, and Quake. Auto Pilot, like its name suggests, allows the computer to take over your racer for a few seconds. Shield is a temporary energy field that takes place around your ship for a few seconds, making it impervious to damage. Turbo is a very valuable item because it can boost your racer to very high speeds for a few seconds. Mines and Bombs are backwards weaponry that stays on the race track to hopefully be hit by an opponent that is close on your tail or something of that sort. It can be annoying sometimes because you might hit a Mine or Bomb you left behind on the last go around. Rockets, Missile, Disruption Bolt, and Plasma are all forward shooting weapons that help in slowing down or disabling an opponent. Quake is a very powerful weapon, as it sends a shockwave through the track and slows down all the racers in front of the one that used it. The variety of weaponry included in the game is enough to keep the game interesting, but not too much to make any of them seem really unneeded or give the feeling that it is the main focus of the game. Sometimes when you launch into the air, you can have time to do a barrel roll, and while taking a risk of getting damaged if it isn’t executed by the time you land, it gives a boost of speed after you land. There are a bunch of random things to mention about the game as well, some good and some not so good. Each league has its own time records because of the difference in speeds that are allowed in each class, so it gives a slight incentive to go and race in different leagues to try and get the best time possible. In Time Trial mode, you can save “ghosts” of yourself for you to race against at a later time. However, each race will take up its own save slot for a ghost, making it almost a requirement to have a larger memory stick handy to utilize the ghost feature to its full capabilities. During tournaments, there is always one or two racers that will always place in first or second, making it hard for you to win tournaments, many of these coming down to the wire and barely passing up your opponent for the win or having them pass you up at the last second for a lower placing. This obviously gets very frustrating when they pass you by less than .001 of a second. Also, sometimes you will have enough speed to fly completely off the track. Instead of flying into a blank void when taking your amusing detour, you can see more of the city or area that you are racing in, making it seem more like you’re actually racing through something rather than a floating road in the middle of nowhere. An autosave function is present in the game as well, which constantly saves your progress after each race, saving quite a bit of time from having to do it manually, and since it only takes a couple seconds immediately after a race, it doesn’t get in the way at all. Load times are also not horrible, only taking around fifteen seconds to load for each new race you’re about to undertake. The sound quality in the game is excellent. All the weapons sound futuristic, just like they should. But the best part of the sound in Wipeout Pure is obviously the music. The music takes an electronic-oriented approach, with a quite impressive selection to choose from. You’re also allowed to customize your music preferences, whether or not you want to listen to it down to which songs you don’t want to play, though it is hard to get sick of them if you like the kind of music included in the game. Most of the time, however, you won’t notice the music because you’ll be so concentrated on the racing at hand. Downloadable content is available if you have a wireless connection point. At the time of the writing, there are Gamma Pack 1, 2, and 3 are available for download. Supposedly there are five to be released altogether, and they add various items to enhance the game from its retail version, most notably included new tracks to race on. The files are kind of big, though, depending on what is in them. Again, you’ll most likely have to have a big memory stick on hand to have enough space for all of your game saves, and the downloadable content that will eventually be released in Gamma Packs 4 and 5. Wipeout Pure is a solid arcade racer that can be taken just about anywhere on a PSP, making it a very valuable game in its launch lineup, as well as part of its increasingly expanding game library. With its fun game play and beautiful presentation, Wipeout Pure is definitely a game that shouldn’t be passed up when being considered for purchase with a new PSP or even down the line. 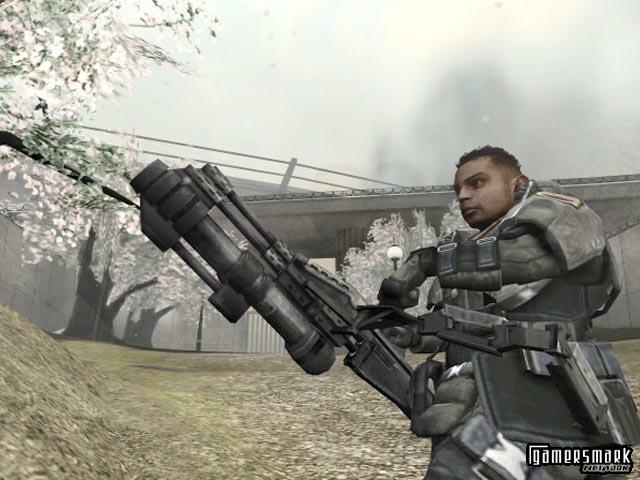 Killzone, known to some as the “Halo-killer,” for the PS2 is a first-person shooter (FPS) that aims to fill a large gap in the amount of games in its genre for Sony’s current console, the PS2. It isn’t too often that an FPS for PS2 comes along, let alone one that can compete with games such as Halo and Halo 2 on the Xbox. While Killzone didn’t do as well in sales or overall ratings by critics to live up to the name of “Halo-killer,” Killzone is still an impressive FPS that does what it sets out to do very well: allow you to shoot enemies and have fun at it. 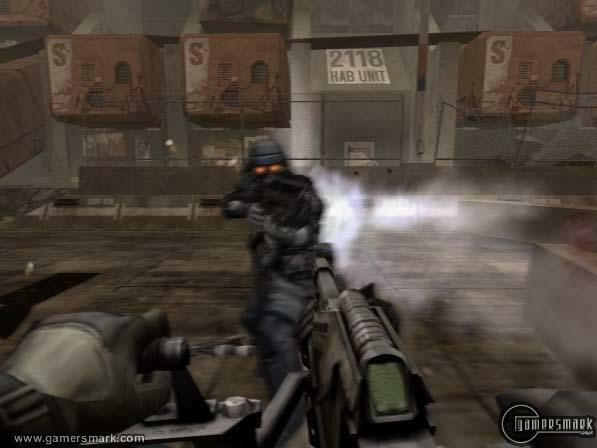 On its own merits, Killzone is probably the best FPS on the PS2, rivaled only by Red Faction. Probably the thing that is thought about most when the name “Killzone” is mentioned is the graphics. Especially since the tech demo for Killzone PS3, the name Killzone has sparked a lot of interest. With that said the graphics in Killzone for the PS2 are very impressive, especially for a PS2 game. However, you might not get this feeling until later in the game when you see the different environments you venture through. Part of what makes the graphics in Killzone so nice is the cool reloading animations, the sprinting animation (which looks as good as a CG movie with the effects used), and the faces of characters that look practically realistic, among other things. Faces show emotions and change face patters during cutscenes, adding to the realism of the game. In-game, the faces look just about as good, but don’t really move as much as during a cutscene. Other than that, there isn’t really much you can point out in saying “that looked really good,” because Killzone focuses more on an overall visual experience that comes off very nicely. The colors used in the game usually revolve a lot around browns and grays, and the video quality effect (at least I hope it is an intentional effect) used makes it seem like it’s a futuristic-looking atmosphere. The campaign’s story is fairly interesting. The story starts when a group of invading sub-humans named the Helghast from the planet Helghan attack the ruling human faction, the ISA. The Helghast were a group of humans whom settled on a planet with very harsh conditions, like breathing in heavy gasses, resulting in an evolved sub-race. They did what any separated groups of humans do when they think badly about the current government; they nationalized, and declared war on their former relatives. The emphasis on the story is on a smaller scope, however. Rather than concentrating on the whole war, it focuses on a major conflict on one of the planets that was pre-emptively stricken by the Helghast in which a Space Defense satellite is taken over by a traitorous general in charge of it. The four main playable characters that you can play with in the campaign are Templar, Luger, Rico, and Hakha. All the characters in the game are voiced very well, really giving personality to the main characters in the story. However, non-cutscene voice work isn’t as charming. Most of the sounds used by characters are usually the same ones being heard over and over, making it feel as if the in-game voice sound effects were shortchanged when it came to its variety. You’ll often hear commands from your party members that don’t make sense toward the immediate situation, having to take what they say with a grain of salt. The actual character’s characterization is fairly vague, and while you don’t exactly know who the main characters really are (in terms of their personal histories) their personalities really shine through in the voice-overs. Through the story, you will learn small portions of a character’s past, most not being explained thoroughly at all by the end of the campaign. I guess you just have to fill in the blanks when it comes to the things they didn’t explain. On a side note, there are swear words used somewhat freely in the game, which adds to the reality of the intense situation being portrayed. Not much music is actually in the game except for cutscenes, but it isn’t something that is missed during regular game play, because there’ll be a lot of shooting and you’ll want to hear every gunshot you can so you know where it’s coming from. The campaign takes a while to complete, and obviously leaves it open-ended for a sequel. Whether or not any sequels for the game will have the characters introduced in Killzone is sort of hinted at, but it is certainly left to question whether or not they will make an appearance again. When beginning a mission, you’re allowed to pick a character to use. Each character has a perk or two that will make playing with them a somewhat unique experience. Choosing a different character changes some things in the missions you play, but the biggest difference is in the main weapon they use. Regardless of which character you choose, you’re able to hold three weapons for use through the mission. At the end of each mission, your weapons reset to the default weaponry for your character, but you keep the weapons you have until you complete a mission. While the guns you find on the floor aren’t of a very wide variety, there are quite a few different kinds of guns that will be used through the game. Some guns have alternate fire, but some don’t. Alternate fire usually takes a longer time to use due to having to usually reload right after its use, but it depends on what weapon you’re using, of course. Because ammo for your default weaponry is hard to come by, you’ll be using your enemy’s weaponry, allowing you to keep bullets being fed into your stockpile. The typical mission is divided up into three parts. Eleven missions are included in the campaign mode, and each one is pretty long. In the end, it does give a satisfying amount of play time. Interestingly enough, it says on the time counter that I’ve been playing for nearly fifty hours, but it really didn’t feel like it. Either way, you’ll be playing for a pretty long time. The typical mission isn’t extremely imaginative, but the tactics you have to use during each of the different parts make the game interesting enough for you to have a good time playing. The game also forces you to be a little tactical in how you go about attacking a situation, often times having to die and try again. But really, the game doesn’t get all that fun until a third of the way through when the story really gets going. Most of the enemies you encounter will either charge you head on, wait for you to come, or pop out of nowhere and shoot at you. It’s basically normal FPS stuff, so it’s nothing that hasn’t been seen before. The missions do become challenging at times though. Even on easy, you can have a hard time, taking two or three tries at a certain situation before you can get through it alive. The main challenge in it though is because checkpoints (where you resume the game after you die) are few and far between, making you go back to a farther-than-needed point in the mission and making you do the same things you had just gone through until you get to the point you had trouble at. All of this takes a bit of chance, skill, and frustration to complete and can get redundant because you play through parts you’ve already completed again. There are enough unique challenges to confront throughout missions to keep the interest fountain flowing, though you just might have to take a little rest between tries. There are a few minor annoyances found through the game. Only a couple times have I had the frame rate decrease below thirty frames per second, and that was because there was a lot of action going on at the same time. Most of the game runs very well though. Also, it gets sort of annoying going up and down ladders. Sometimes when you want to get on a ladder and then press a direction to go, you’ll get off the ladder instead of going where you want to go. Whether it’s a bug or a control issue, I’m not sure. Thankfully ladders aren’t a big part of the game; they only take importance in a couple of places. Adding to the game’s difficulty is actually taking doing Helghast, because they are very hard to kill at times. You could get a few headshots on a certain Helghast and they still wouldn’t go down. It can take a lot more ammo than what would really be worth it in the long distance firefights, mostly because the weaponry you have isn’t usually good at long distance (unless you just happen to have a sniper rifle handy). As the game goes on, the Helghast become harder and harder to kill, and use bigger guns and grenade launchers in more frequency rather than only using the basic Helghast gun most Helghast you encounter will have. There’s a nice multiplayer mode that allows for single player games offline playing with bots. Online is also supported for the multiplayer mode. 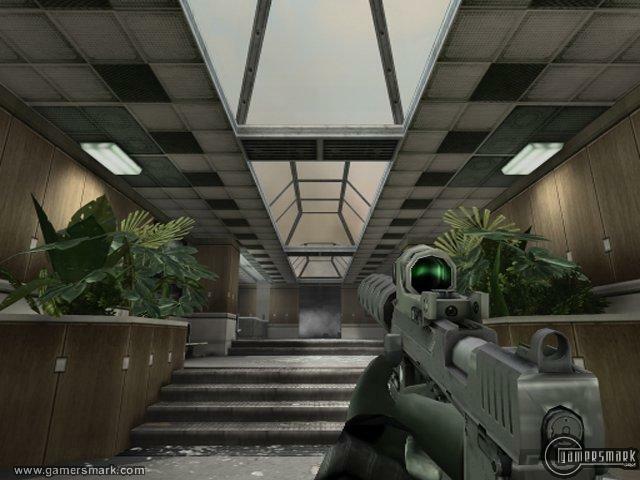 There are all of your usual FPS multiplayer games such as Deathmatch, Team Deathmatch, Assault, and a couple of others. The multiplayer arenas are mimicked after certain parts of the campaign. The online multiplayer mode definitely extends the life of the title, and the fairly-realistic-yet-futuristic weaponry used in the game does have a little bit of an appeal to it. No vehicles can be used at all in the game, though. There isn’t that much that is bad about Killzone. Being a more traditional FPS, focusing more on actual shooting game play rather than vehicle game play, Killzone sets up a very cool universe for which subsequent games may take place in. I, for one, am definitely looking forward to more installments in what will happen in the war between the ISA and Helghast. 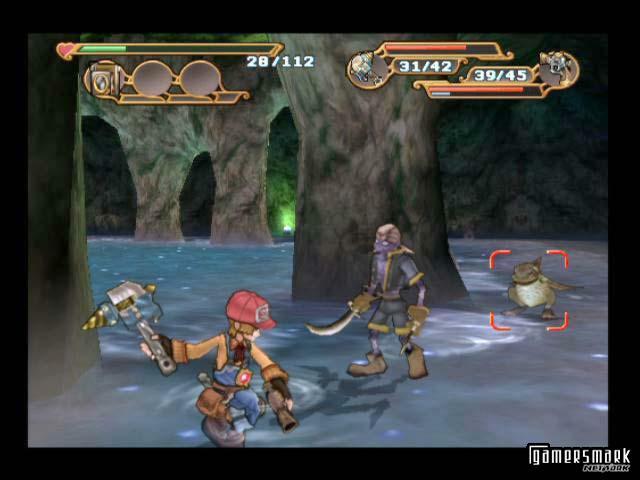 The original Dark Cloud is known as one of the best adventure RPGs for the PlayStation 2. 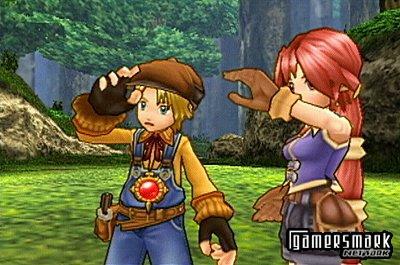 Thus, players clamored for a sequel, and with listening ears Sony has brought us Dark Cloud 2. If you’re a Dark Cloud fan, you will be thoroughly impressed with the effort by Sony to make this sequel truly all that it should be and more. Everything in Dark Cloud (including the translation) has been greatly improved. Dark Cloud 2 is about a young boy, named Maximillian (or Max for short), and a young princess from the future, Monica. The story starts when Monica goes to the past from the future to stop an evil guy, only known as Griffin, from destroying the past, therefore destroying the future. Don’t ask why this makes sense, because if Griffin was going to destroy the past, how would the future be able to know he was going to if they were destroyed? Just take it for what it is, and you’ll have a fun time playing this game. The Georama system that made the first Dark Cloud so original, (which is the aspect of the game in which you can build your own towns for people to live in) has been revamped and loaded with new features that make your towns more customizable. Not only did the Georama system get a major improvement, but the battle system, storyline, interactivity, and user interface had all been greatly improved. Dark Cloud 2 is everything Dark Cloud was, should have been, and so much more. The similarities between Dark Cloud and Dark Cloud 2 are the same as the similarities between any of the Final Fantasy games. All that is in common between the two Dark Cloud games is the concept of using Georama to rebuild the world, and go through a merciless amount of dungeons to do so. And let me tell you right now, the best part of the game is going through the dungeons (and that’s a good thing). Somewhat of a new aspect to the game is the ability to freely travel to and fro from the future to the past. The only improvement that some may see as a turn-away from this game is that instead of the generic computer-graphic-look, the game is cel-shaded. Let me say this again, the game is cel-shaded. Even though some may see this as a bad thing, I see it as a good thing. The game looks amazing, and I believe that the cel-shading makes the game what it is. Compared to games using the conventional computer-graphic look, every aspect of this game, visually, is amazing. The cel-shading mixed with a right amount of regular computer graphics make for a very pleasant experience. Just because it may look cartoony, doesn’t mean it doesn’t look good. The sound in this game is great. Every part of the game has good music. After 90+ hours of playing this game, I still have not gotten sick of any of the songs. The music makes you feel like you’re in the area you’re in, whether it be a volcano, a tower, or the future. When the story is advancing, there is voice acting. However, the voice acting makes the game seem more kid-like, because there are a few weird voices that seem to have been made to entertain younger children, even if the game is not really made for them. There are two main aspects of the game. There is the battle system and the town interaction/Georama system, as well as a few extras tossed into the gaming mix. 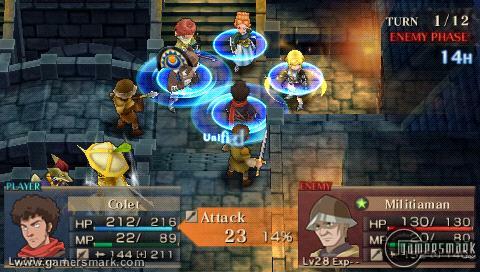 The battle system has improved so much since the last Dark Cloud, that it makes it easier for you to be efficient with your battle tactics. Instead of having six playable characters with different abilities (as in the first one), you have only two characters, whom each have two weapons (close and long ranged weapons) at their disposal in addition to an “alternative” mode of fighting. Max is equipped with huge wrench-like weapons (because he’s an inventor), and a gun. Max also has a huge robot named Steve. You may remember “Steve” as the talking slingshot from Dark Cloud. Well, now he’s a powerful robot that can be fairly annoying if you choose to equip him with a voice box. Steve is almost a character by himself, as he has his own hit points, weapons, and uses. Steve becomes especially useful farther along in the game, when the enemies become extremely hard. Monica is equipped with the conventional sword, and a bracelet that can shoot magic. That’s not the interesting part about her though. She’s able to transform into particular enemies you encounter throughout the game. This is fairly useful, as each of the different monsters have skills that are needed to complete tasks in the game. The main part of the game is the dungeon-exploring. Going through dungeon after dungeon was the whole purpose of Dark Cloud, and the same goes for Dark Cloud 2. The main point is that you go to a part of a dungeon, find the key to go to the next level, and go to the next part of the dungeon. As you venture through the seemingly endless amount of dungeons, you improve your characters mainly by improving the weapons they carry. You do this by “synthesizing” or basically adding a particular item’s ability-gaining-potential to the weapon. Synthesizing has been tweaked a bit from the first Dark Cloud. At every “level” the weapon gains from use (and depending on how advanced the weapon is), it will gain a certain amount of “synthesize points” instead of just putting a bunch of different things in slots and having them join with the weapon. The battle system is very deep, and to explain it here would take too long. The other part of the game that you’ll be spending time with is the town interaction/Georama system. Town interaction plays a big part in the beginning, but declines as you make the towns through the Georama system. The first town, which is made by the developer, is obviously more grandiose and interesting than any of the ones you make. An interesting part of town interaction is the camera. The camera is used to document certain types of items, which is used for other purposes. However, this provides for some pretty fun photo shoots. When you first get the camera, you’ll be taking pictures of everything you see, trying to get every single item (which there are a few hundred of). Like I said before, the Georama system had been greatly improved, and makes for some very nice customization of the towns you have to rebuild. Instead of having the actual items being provided for you to right away place on the map, you must actually CREATE them with the building materials you acquire. This makes for a less far-fetched reason for being able to make a town by yourself, out of nothing. In Dark Cloud you didn’t have to meet the conditions of the original town, except to get prizes for doing so. In Dark Cloud 2, however, you have to do 100% of what the town is supposed to have in it. An example would be “Place trees around the Elven house.” This would complete a certain condition you had to do to restore the future, because in the future’s past, the Elven house had trees around it. Also, you must have a certain amount of “culture points” which almost forces you decorate the town with certain things, to make it seem like a more believable town. Some extra aspects to the game are the invention system, Spheda, and fish raising/racing. The invention system comes in play when you take pictures of certain items. These pictures supply Max with ideas to be able to make a certain invention, for instance a bomb or a weapon. The way it works, is if you put three ideas together, you may or may not be able to create a “complete” idea that will allow you to create a particular object. Spheda in this game is basically an advanced form of golf. The explanation behind Spheda is that there are space/time distortion thing, in which a blue or red sphere falls out of a blue or red distortion. The goal of Spheda is simply to put the sphere of glowing space/time back into the portal. You may ask now “why don’t the just pick it up and put it back in.” You idiot! Don’t you know if you pick up a piece of space/time you’re going to possibly change the future (as if hitting it with a golf club makes it any better…)!?! Anyhow, to win at a particular game of Spheda, you must defeat all the enemies in a dungeon, after which, the distortion and the sphere will appear at random places on the map. The dungeons are all randomly generated, so it makes for some very frustrating times. Basically, you have to get the sphere an opposite color of the distortion to make it go in (Red sphere -> blue distortion, blue sphere -> red distortion). This adds for some difficulty, as you may be able to hit the sphere into the distortion, but it doesn’t go in because it is the same color as the distortion (which is bad). Have fun with this one. Even though it isn’t a required part of the game, its still very useful getting the item out of the treasure box that falls out of the distortion after it is repaired. Fishing. Fish raising. Fish racing. This all seems kind of boring, and let me tell you it pretty much is. But if you play your cards right, you’ll be able to get some very good items and weapons. I think its sort of self-explanatory as to what you do with the fish. Well, after all that we’ve been through with each other, I’m afraid it won’t even come close to how long you will play this game. I haven’t said one bad thing about this game, but there is a factor of the game becoming rather boring at times, as well as getting an “oh yay you finished an area, now go to the next one and do the same thing you did before” feeling about midway through the game. 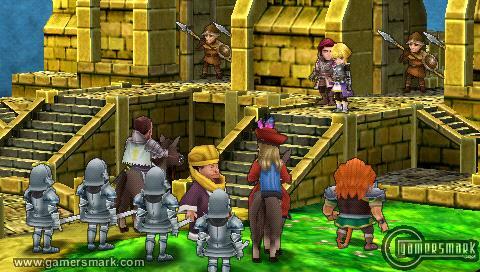 Nothing really happens during the middle part of the game, as it is really just gets you prepared for the unloading of the story, and mess of difficult enemies and bosses near the end of the game. There are about seven different areas, all corresponding with a particular element. Such as, fire, water, wind, earth, air, and a couple of extra areas. The reason it becomes so boring, is that when you go through the dungeons, there usually isn’t any story sequences at each part. The only reason they become boring is if you’re trying to play all the way through a bunch of the dungeons at the same time. If you give it a little break in between every few dungeons, it’d be less of a bore. But to break up the monotony of the dungeons, the developers have tossed in many, many extra mini games and side quests to have fun with.